After talking in part I with Richard Mille‘s R&D Manager, Aurèle Vuillemier, we also sat down with Ludovic Chichignoud, Chief Operating Officer at NTPT. With him, we dove deeper in the technical side of the production of these innovative materials that have, processed into case and movement parts, become a hallmark for Richard Mile. How long did it take you to develop Quartz TPT® and Carbon TPT®, and how does such a development process look like? We have developed with Richard Mille a common, robust stage gate development process, with different stage of validation qualitatively and quantitatively, till the commercialization. The drivers for this process are innovation and quality. We need to count in average one year from the launch of R&D program till commercialization. What is the most challenging aspect of creating Quartz TPT®? And Carbon TPT®? Carbon TPT® has been the pioneer development. The most challenging here was to start from zero, with ideas of a final product and strong faith. For the composite, the challenge was the choice of fiber, resin, fiber areal weight, and molding possibilities, that would make it then fit the target of functionalities defined. It has also been a great challenge for Richard Mille to try and define the best way of machining to achieve the expected aesthetics and performance. This was possible only because of the fit in the spirit of the partnership with Richard Mille to explore and push the boundaries. For Quartz TPT®, the most challenging has been working around resin, fiber and additives, to make it a thin ply composite in our process, and achieve defined color and aesthetics, with weathering resistance. Then mixing Quartz TPT® and Carbon TPT® is another very challenging aspect with regard of the compatibility of the two systems, from a composite point of view (resin and cure cycles) for NTPT, as well as from a machining point of view for Richard Mille. What is the main difference between Quartz and Carbon TPT®, and what are the qualities of each of them? Carbon TPT® has a significantly more favorable stiffness/weight ratio. On the other hand, Quartz TPT® allows an outstanding field of possibility of color variety with some robust UV resistance. 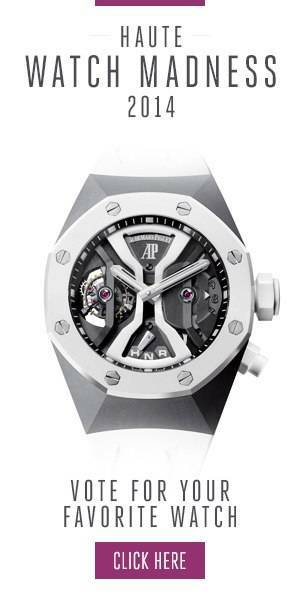 Both materials also have a significant difference in hardness, requiring unique skills of fine machining of Richard Mille. Can Quartz/Carbon TPT® as a material still be improved or is the current material as good as it gets? Yes, we are continuously looking for improvement, this is our DNA, and, pushing the limits is the essence of our partnership with Richard Mille. We can seek for improvement of mechanicals or functionalities, by working on our resin system, additives for both Quartz and Carbon TPT®. For Carbon, we can also reach some improvement by playing amongst a large variety of Carbon fiber grades. Can you create any color combination in Quartz/Carbon TPT®, and does the color affect the strength of the material? Generally speaking, we tend to believe that nothing is impossible. And this is the case here; we really have a wide potential to create any color combination in Quartz/Carbon TPT®. Yes, the color has an effect on our process and on the properties of the composite. Each new color combination is a nice new challenge. Apart from watches, what is the most common use for Quartz/Carbon TPT®? Both can be used in various kind high-level aesthetics application apart Watches. However, Carbon TPT® is generally used for all application demanding mechanical resistance and lightweight, like space, UAV, Sports goods and more particularly Golf shaft with our high performing range TPT GolfTM, Industrial applications, and Motorsport amongst others. Quartz TPT® has an interesting potential for application demanding dielectric transparency and the balance of mechanical resistance/lightweight, like military applications, or also application quite demanding in regard to some abrasion resistance. What can we expect next in terms of innovative, light-weight, ultra-strong materials? In our partnership with Richard Mille, a lot of new innovations can be expected in the coming years. We have commonly developed a lot of ideas, with some being still at the incubation stage, and some being under concrete development. We have a robust project pipe along this partnership. Besides that, we have a steady demand for space and UAV and are starting to investigate the interesting field of electrical motor containment.